My Base Station consists of a DX 88 HL Galaxy radio, powered by a Pyramid Gold Series power supply. My antenna is an Antron 99 approximately 40 feet in the air. 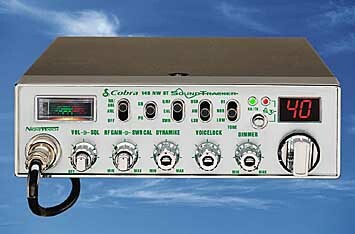 My backup radio is a Cobra 148 Sound Tracker that has had the frequencies expanded. In the near future I am up grading to a RCI 2995 Base Station.